Our team of professional instructors can provide mountain instruction in your aircraft. 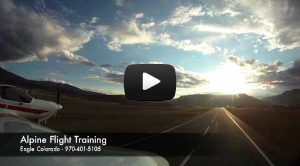 Learn how to fly safely and confidently in the Rocky Mountains. No really, where did you want to go today? A pilot’s license is the ultimate freedom. Whether you’re flying for business or personal, flying yourself means departing on your schedule, flying direct, and saving time and money. We offer instrument finish-up as well as complete 7 and 10 day instrument programs. Our program is structured, efficient, & cost effective, you may fly your own aircraft or your choice of a Diamond DA-20 or Piper Archer II to use for your instrument training. 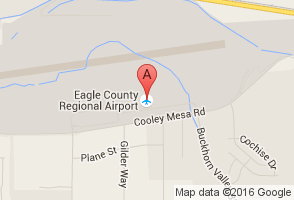 Whether for fun of for your next career, learn to fly here in Eagle Colorado at your hometown regional airport. Alpine Flight Training offers reasonable rates, modern composite training aircraft, and expert instructors to help you become a safe and proficient pilot. Whether you are simply fascinated with aviation, looking for a more convenient method of transportation, or looking for a new career, learning to fly can be a hugely rewarding experience! Alpine Flight Training offers private pilot ground and flight training as well as instrument training at the Eagle County Regional Airport located in Eagle Colorado. We offer a great location and a great training aircraft. Have you ever wanted to venture into the mountains with your airplane, but worried that you may not be ready for the challenge? Consider getting some additional mountain training from our team of professional mountain flight instructors. The goal of this training is to provide the pilot with the basic tools of knowledge, skill and judgement to fly safely in mountainous terrain, while having a challenging and rewarding experience. If you're looking at Flight Schools, Alpine Flight Training is the clear choice in the Central Colorado Rockies. We offer modern aircraft, professional experienced instructors, reasonable rates, a convenient location, and are equipped to provide training for all levels including private pilot, instrument ratings, commercial pilot ratings, flight instructor ratings, instrument instructor, and airline transport pilot ratings..
An intro flight is a great way to experience the fun of flying and see the local area from the air. For $199.00 you'll receive a 1 hour intro flight lesson that will consist of a brief lesson on the basics of flight followed by 30 minutes in the air. An intro flight also makes a great gift for someone interested in aviation. Accelerated Instrument Rating Training from Alpine Flight Training. Our program is Structured, Efficient, & Cost Effective, you may fly your own aircraft or we have your choice of a Diamond DA-20 or Piper Archer II to use for your instrument training. Get Your Instrument Rating in 7 Days! – We offer short instrument finish-up programs as well as 7 and 10 day instrument rating packages. Alpine Flight Training offers tailored courses to pilots of all skill levels and experience. The primary goal is to teach how to be safe and to have fun in the mountains and backcountry. Our backcountry training program utilizes a Cessna 182 configured specifically for backcountry operations. By utilizing a 182 we can teach the principles of backcountry flying separate from the intimidation of tailwheel operations. Many pilots don't realize that many of the backcountry airstrips in the United States can be accessed with tricycle gear aircraft if the pilot simply learns the proper technique. It was a spectacular couple days of flying. I am glad I took the time to go through your mountain flying course in my own aircraft. I feel much more comfortable and safer now navigating to and from mountain airports, especially after visiting as many different airports as we did. You have given me a great deal of things to think about. Next winter i’ll bring the family up for skiing and maybe get a refresher. Thanks again for the excellent abbreviated mountain ground school and the terrific flying lesson in the Rockies. I never dreamed I would be flying the range with the highest peaks in the contiguous 48, and landing at the likes of Leadville and Aspen after flying over Vail. I really enjoyed that experience, and I look forward to getting back up here soon and taking a more extensive course in the near future…perhaps even in my own plane. This training has proven to be the single most practical and eye opening training session I have ever had. The instruction is hands on and based on practical experience. These guys use a state of the art instructional technologies and methodologies to deliver the message and drive the points home. I have tried for years to get my license with various instructors but everyone I flew with seemed to have trouble getting the job finished. These guys at Alpine Flight Training are great, they set you up for success. The aircraft is great, and their process of bringing a new pilot to completion as a licensed and safe pilot is great. You can get started, take care of business and get finished. A bit of background may help put this review in perspective. I have always loved aviation. As my 65th birthday approached, I knew that it was time to stop dreaming about learning to fly and just start the process. Spending our winters just a one hour drive from the Eagle Airport, a quick internet search popped up Alpine Flight Training. It looked interesting but I also seriously considered going to Scottsdale, Arizona for an intensive course. There are a couple of flight schools at the Scottsdale Airport. They use Cirrus aircraft and promise a private pilot’s license in 21 days. There were two issues with this approach in my case. First, 21 days of flight training with two fights per day is a lot. I found that after I flew for two hours, that I was mentally done. Sure, I could have gone back up for a second flight and had the instructor keep me out of trouble. However, I really do not think, that I would have gotten much out of it. Flight instruction should be Fun. Why hurry the process? If you are a twenty something year old student with aspirations for a career in aviation, then maybe a short, intensive training schedule is right for you (Alpine offers a condensed, intensive course). Second, the Cirrus SR 22 is a powerful, sophisticated aircraft. It is meant to be flown fast and has an improving but somewhat troublesome safety record. Yes it has a parachute. However, most student pilots are going to get into trouble close to the ground, where the parachute is of little value. I really wanted the experience of flight at a pace and flight speed, which would give me the greatest opportunity for success. Alpine Flight Training has a Diamond DA 20 C-1, which is a modern carbon fiber, two seat trainer. It has a dependable Continental 125 HP fuel injected engine and is a delight to fly. This was the plane I chose for my training. It is derived from an Austrian sailplane design, with a center stick and a bubble canopy, which provides astounding views. While not hard to fly, you do really need to fly it. Alpine’s second airplane used for primary and instrument training is a Piper Archer, which I also learned to fly. The Archer is a more traditional plane with a yoke and certainly is more comfortable for tall pilots and a bit easier to land. Alpine has good airplanes, which are impeccably maintained. Given a safe, appropriate aircraft, the most important thing is to have a good instructor. You are going to spend upwards of 50 to 70 hours with this person and it has to work. Loren French, the owner of Alpine was my primary instructor. I also had the pleasure of flying with Joe, John and Brian during my training. Flying with different instructors is really valuable. The key thing is that all the instructors at Alpine are fascinated by aviation and teach because they love to be in the sky and share their knowledge. These are pilots with years of experience, some still flying commercially with the big airlines, who just want to fly small aircraft in an amazing mountain environment. Many flight schools are filled with young, poorly paid flight instructors, who are are trying to build time for their resume, to fly commercially. The opposite is true at Alpine. My principal instructor, Loren is one of the brighter guys, that I have met. While intelligence does not always equate with the ability to teach, Loren has that gift. I am not going to go into his resume, but suffice to say he knows more about aviation, than most seasoned, professional pilots. What is more important to the student is his extraordinary ability to explain the complex components of flying an aircraft. As he recently told me, each student has a particular hurdle. Some students struggle with the academics, some with the hands on skills and some struggle with decision making or the pressure of being the captain. You are not really going know, what issue will prove the most problematic for you, until you are training. What I can tell you is Loren has an uncanny ability to be firm and encouraging at the same time. This is not easy to do. When your teacher tells you that you really messed up, perhaps in a dangerous way, and then is able to support and encourage you to do better. That’s as good as it gets! I loved my training at Alpine and plan to do my IFR and advanced mountain training with them after some experience in my own aircraft. Alpine has great enthusiastic instructors, excellent aircraft and an amazing mountain environment. I can’t imagine getting better training anywhere.